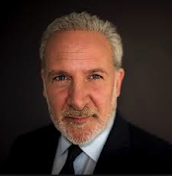 Peter Schiff On The Markets: U.S. Debt: Is Default The Solution? I think it is going to have to because we have to have higher interest rates, there is no question that we cannot keep artificially suppressed interest rates or the U.S. Dollar is going to collapse, we are going to have runaway inflation, we are going to have to do something or we are not going to have real capital investment unless we have genuine savings. And no one is going to save when interest rates are zero or negative.